In Texas heat, I’m sure happy to have lots of shade. 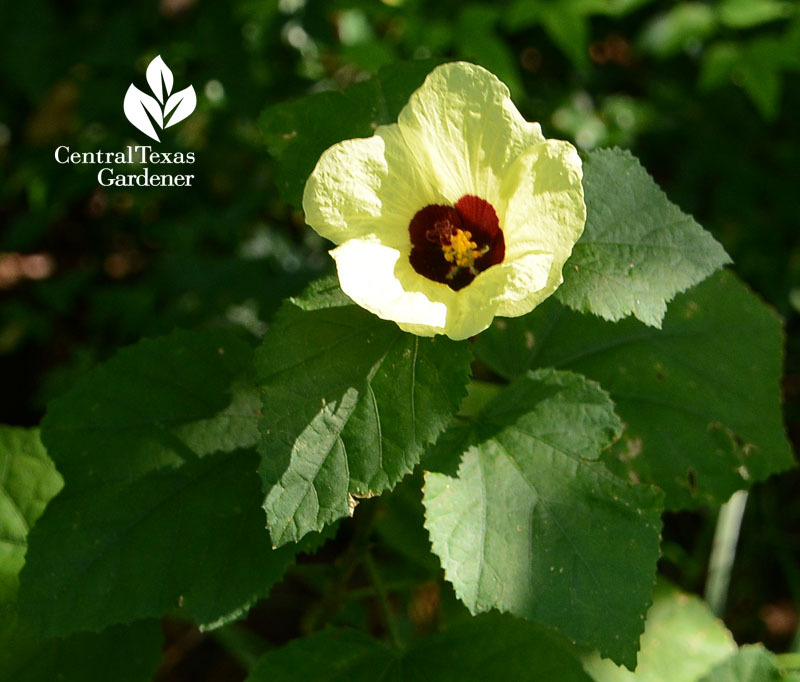 Fortunately, papery sweet lemonyellow rosemallow (Hibiscus calyphyllus) thrives in dappled light. I lost one in a harsh winter (below 25°), but a nearby companion made it through fine. 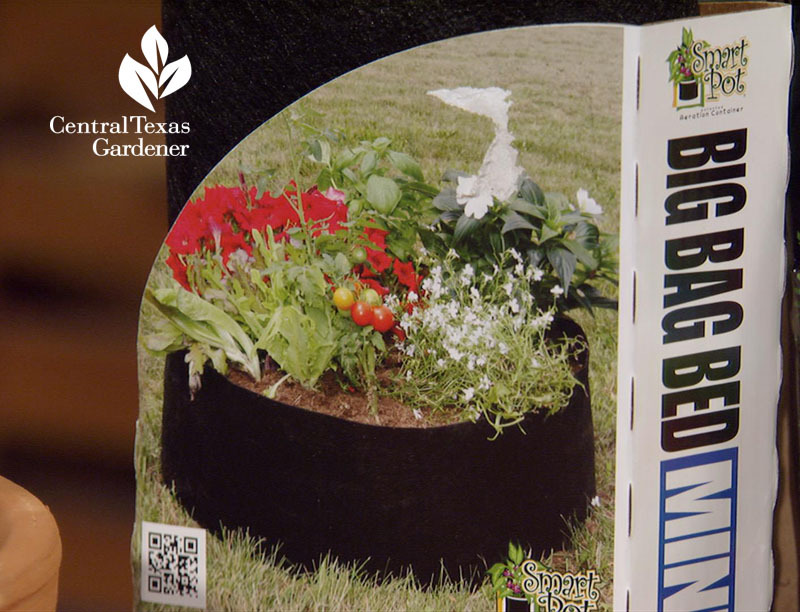 So, it’s best to plant in spring and mulch first-year plants in winter for spring to fall flowers. 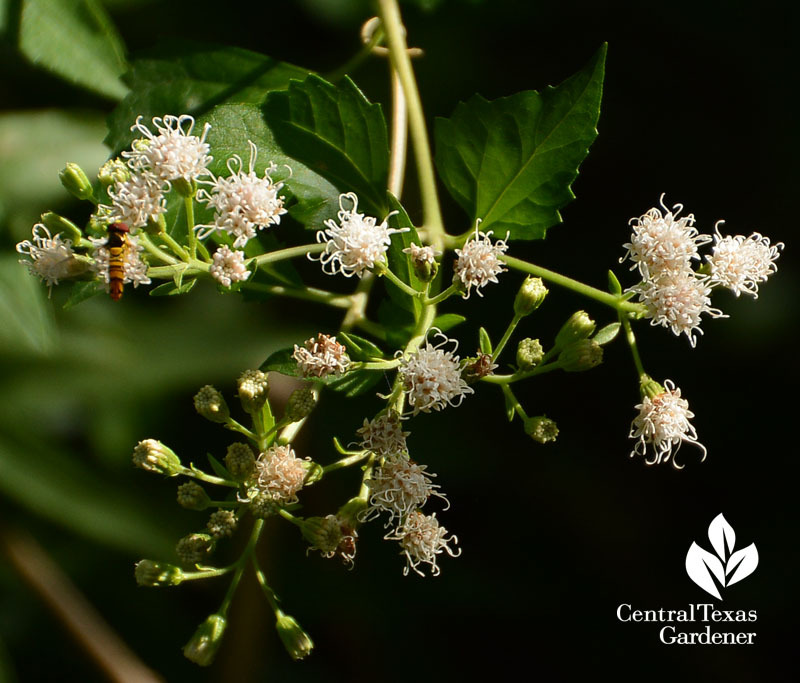 Native white mistflower, also called shrubby boneset (Ageratina havanensis), tolerates anything. Flowering in fall, butterflies, bees, and pollinators like this hoverfly love those fluffy portals of nectar. White mistflower’s one that Michelle Pfluger from Green ‘n Growing recommends, too. 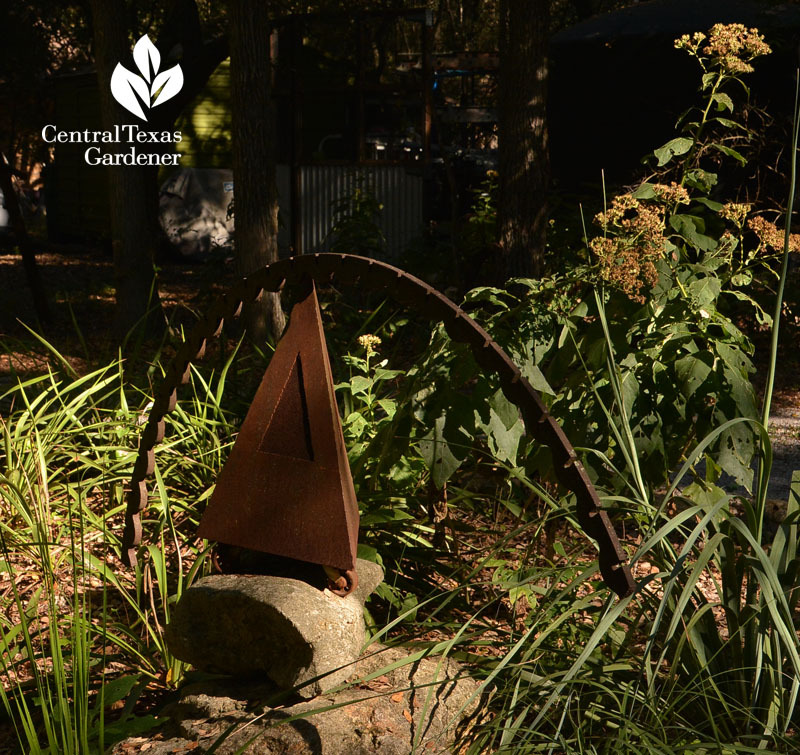 This week, she adds garden rhythm with grasses, succulents, and perennials to plant this fall. 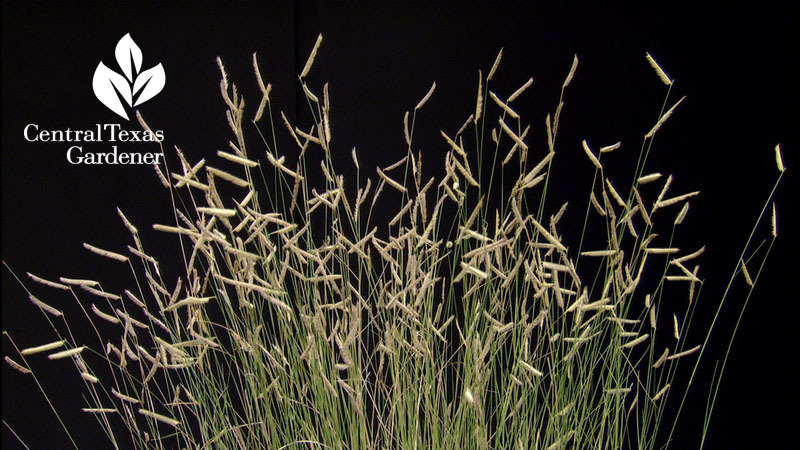 ‘Blonde Ambition’ Blue Grama grass can be hard to find, but certainly worth the hunt! Give it sun for best performance. 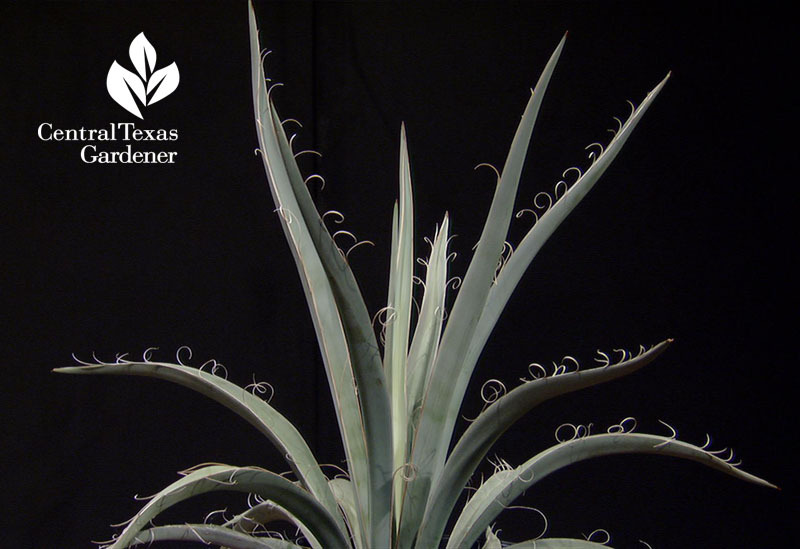 2 – 3’ wide and tall. 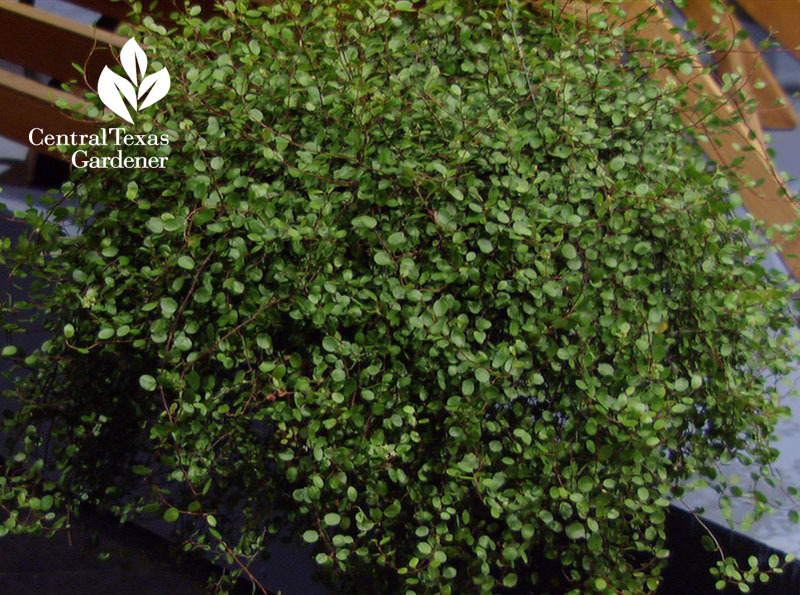 For shade, Michelle brought a hanging basket of wire vine (Muehlenbeckia axillaris) which makes a textural groundcover that’s evergreen down to about 25°. If it loses its foliage, it will return in spring. 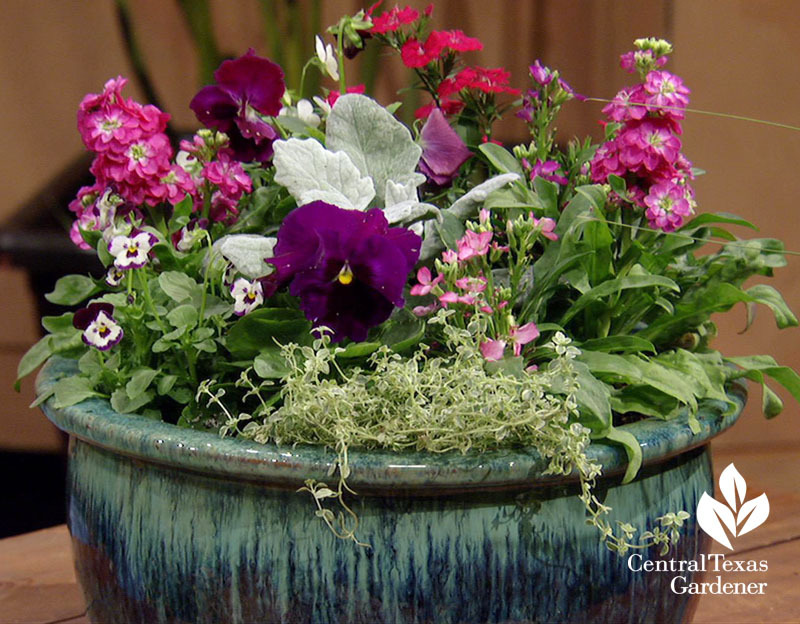 To keep pollinators fed in winter, accent your dormant perennials or fill your containers with pansies, violas, stock, alyssum, and dianthus. And don’t forget calendulas, one of my favorite winter annuals! They’ll keep on going until May or beyond, undaunted by the fiery temps we often get in winter. 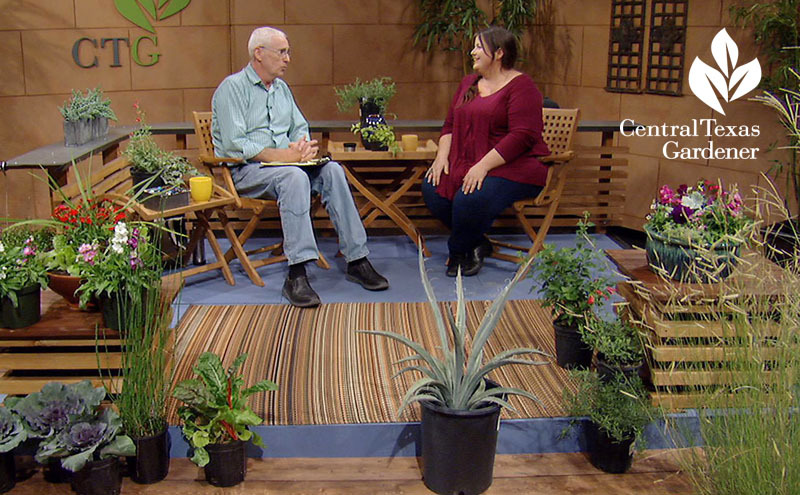 Watch now for Michelle’s great tips and more plants! For kitchen noms next May and June, now’s the time to plant garlic, shallots and elephant garlic (a leek). 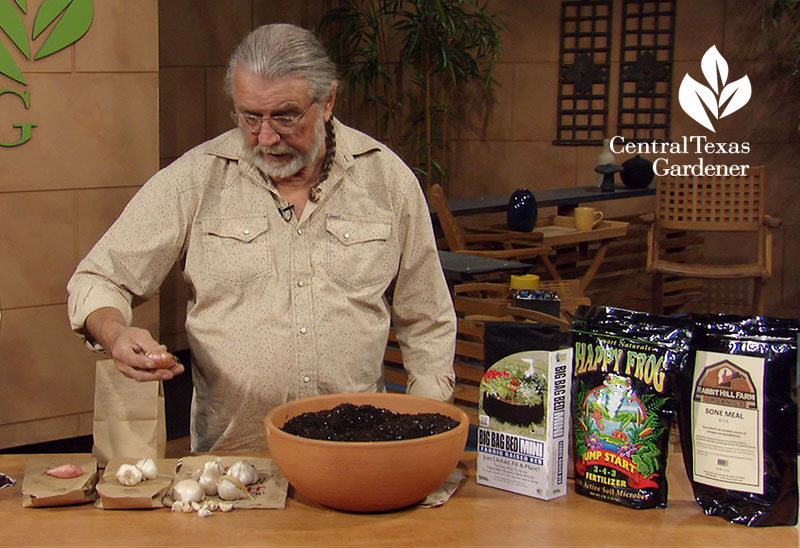 John explains how to grow them, including softneck Inchelium red garlic, and even grocery store bulbs. I’ve done that to great success! Be sure to separate the cloves and plant each one pointy side up. On a balcony or patio, lightweight fabric containers are easily carted around to catch the sun. Get Ivy Lara’s and Trisha Shirey’s tips on harvesting and storing garlic next May. It’s about time to collect summer annual seeds, too. 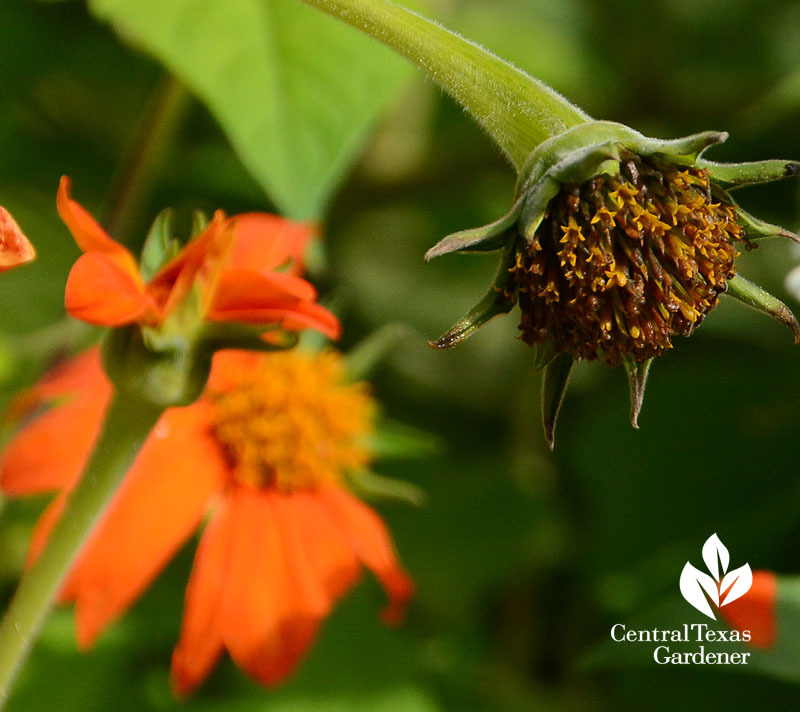 Collecting seeds is a thrifty way to grow next year’s garden or pass along that special heirloom tomato or dazzling prized flower. But, if the plant freezes, are seeds still viable? And how do “wet” and “dry” fruits differ for collection methods? Daphne’s got your answer! 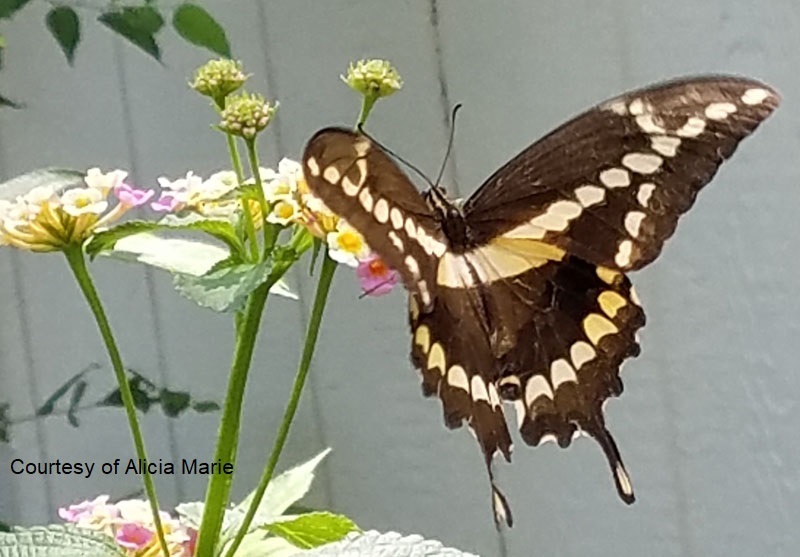 What are CTG viewers finding in their wildlife habitats? Daphne spotlights a few great discoveries! 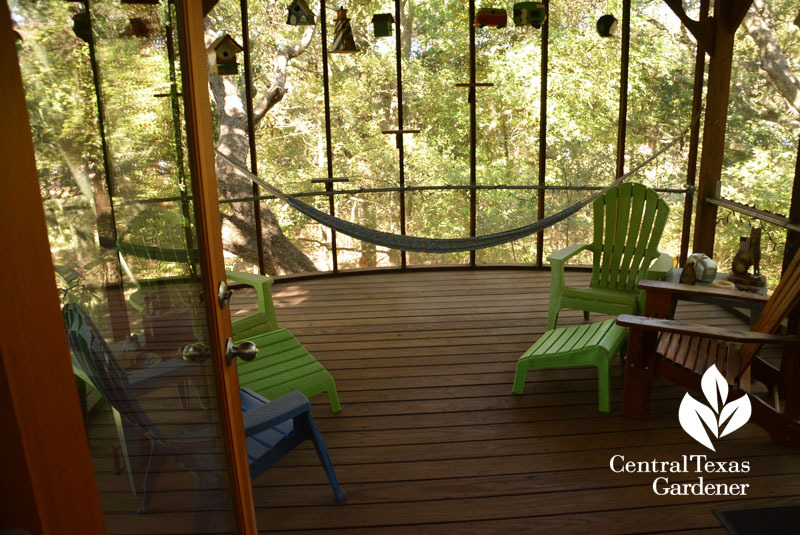 On tour, architect Sandy Stone and Joe Brown find serenity in a treehouse. 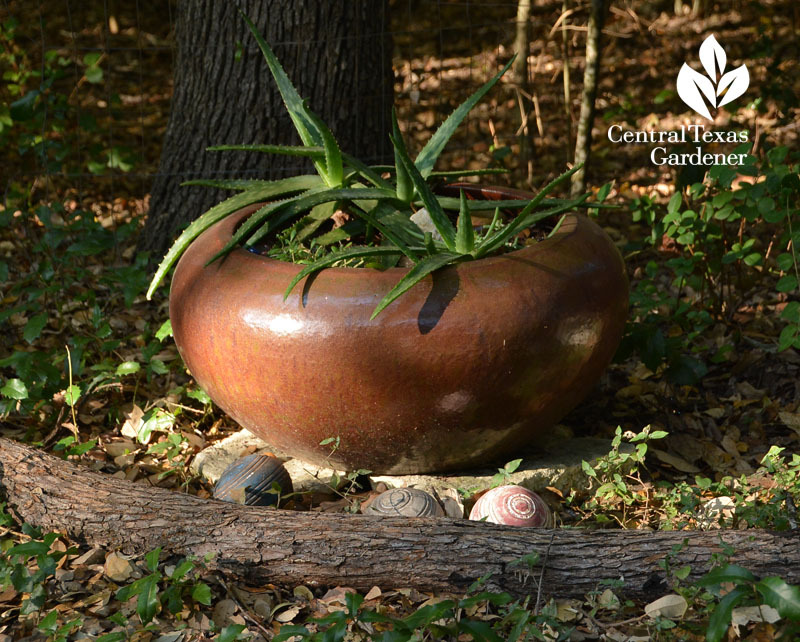 On land framed by trees, they designed outdoor living vignettes and handmade art among native plants to restore wildlife diversity. 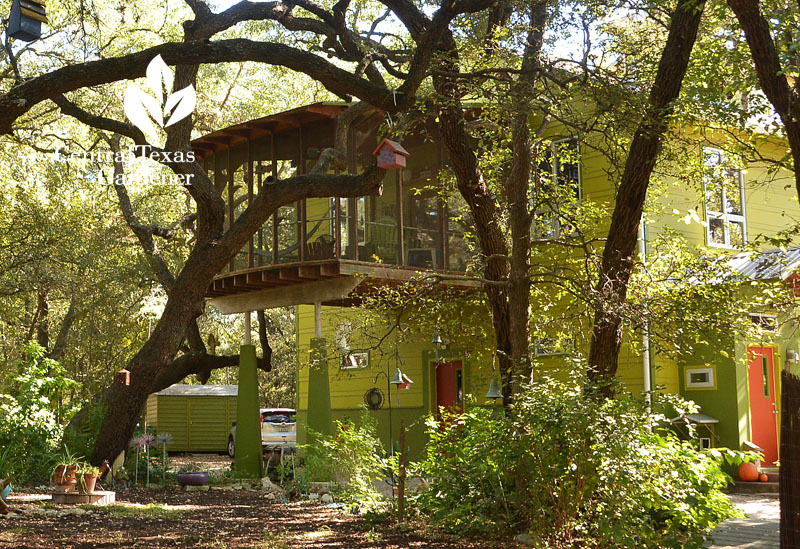 It all started with a house that Joe built on 2 acres in Southwest Austin. 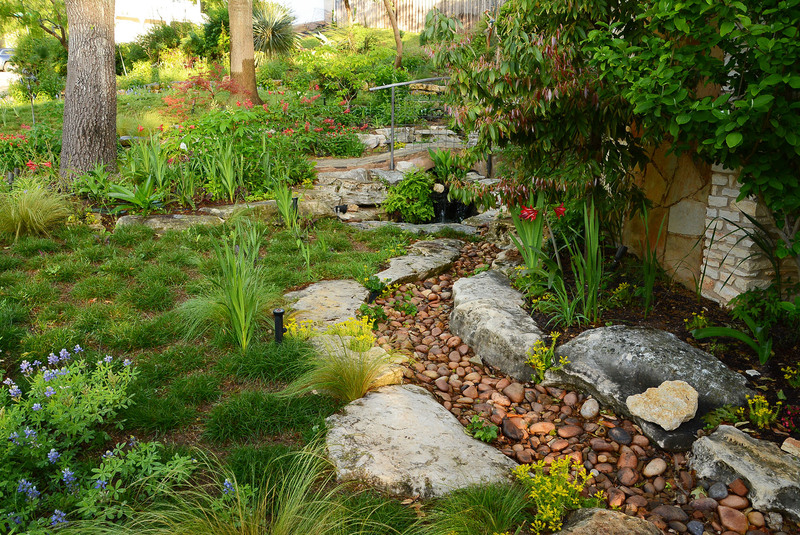 Prompted by the land’s natural beauty on clay and rock soil, Sandy discarded her former garden style. 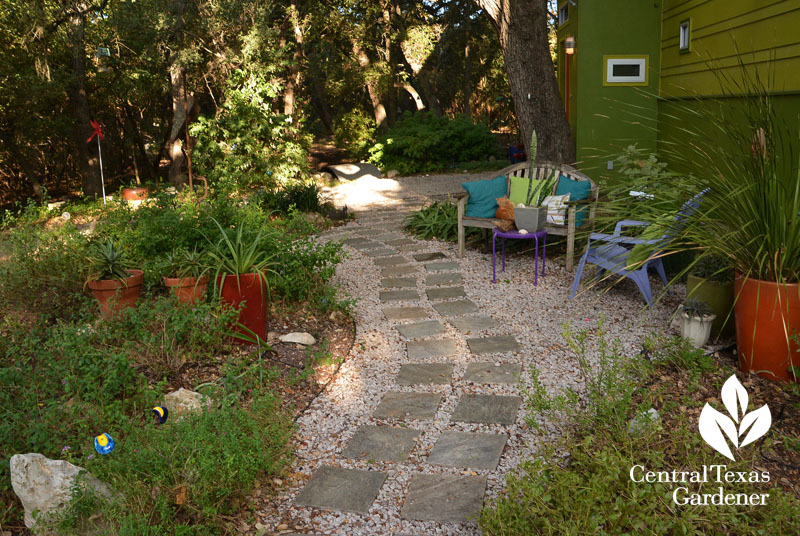 At the front door entry, she and college roommate, Anita Cox, laid a granite path topped with pavers. 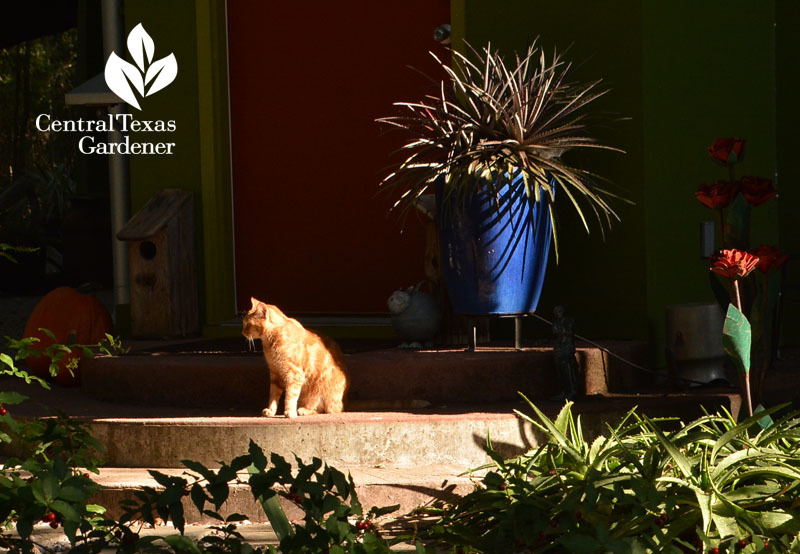 Anita, an avid gardener and volunteer at the Denver Botanical Gardens, prompted ideas for drought tough wildlife plants. 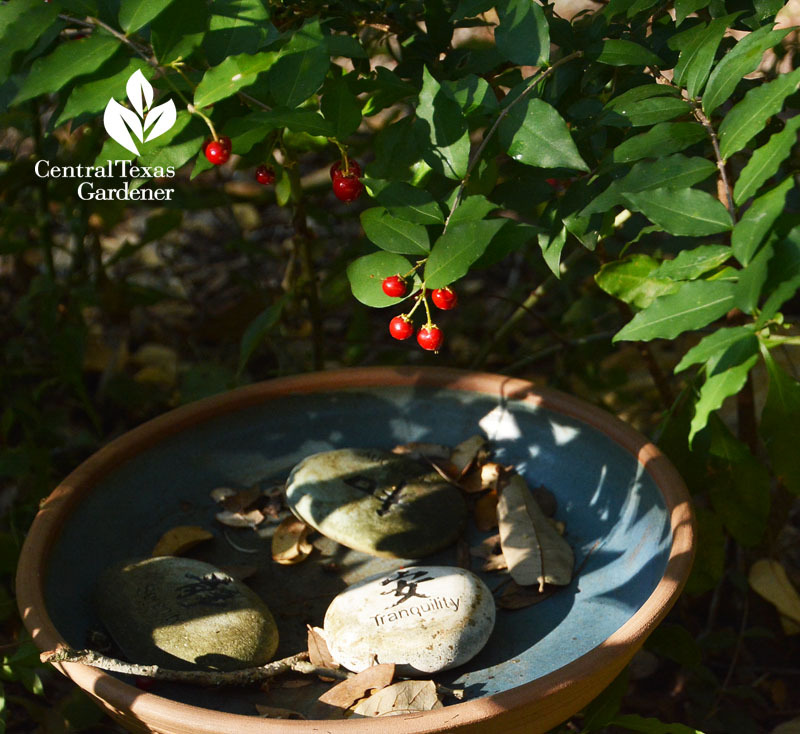 Barbados cherry brings birds right up close. Plant must handle dramatic shade to sun contrasts, which changed radically in our few hours with Sandy. 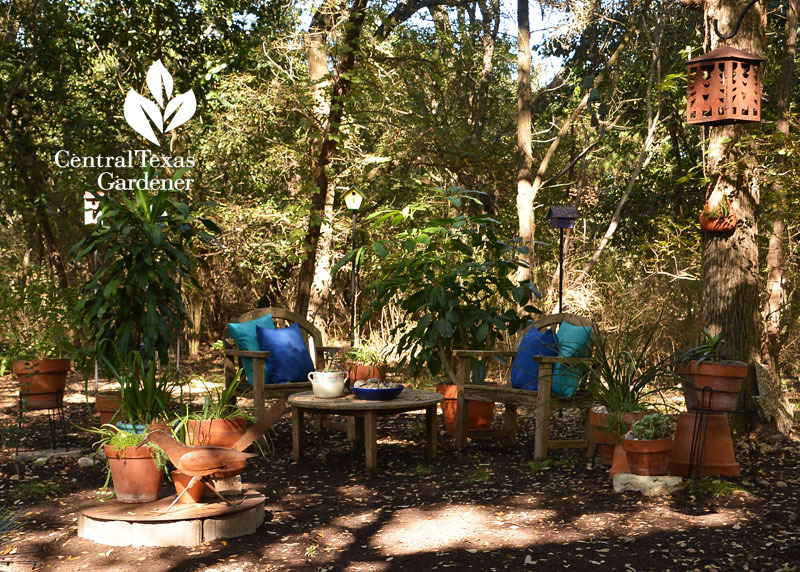 For pops of color in shade, especially when plants go dormant, Sandy dots with colorful cushions and containers. 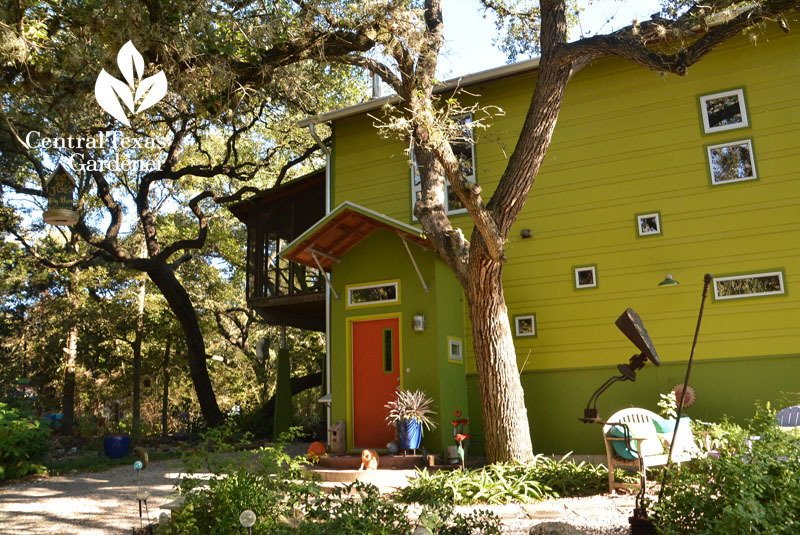 These days, Sandy relies on designer Leah Churner to activate and help maintain design ideas, including outdoor living vignettes under the trees. 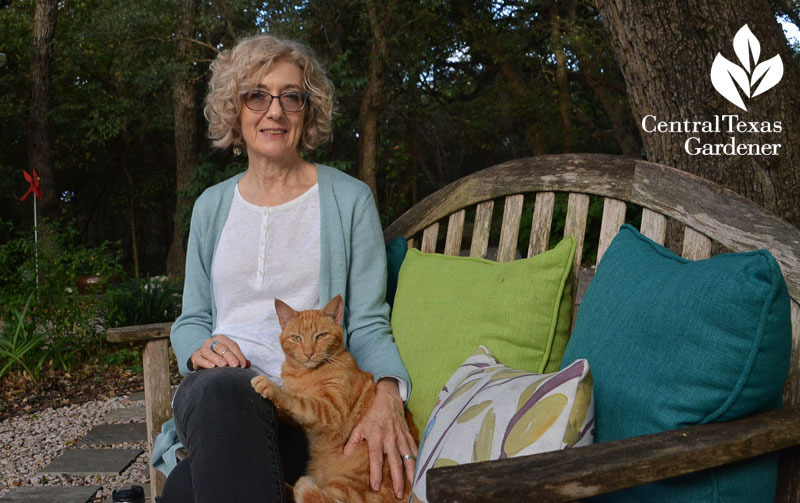 Refuge for habitat is important to Sandy and Joe as land around them gets razed. 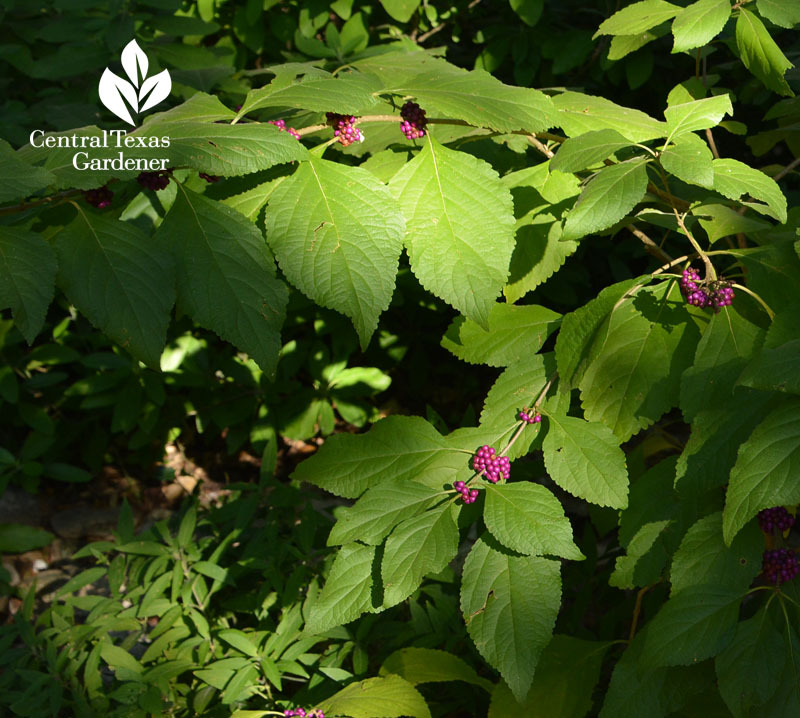 In this Certified Wildlife Habitat garden, native American beautyberry is one of many plants that feed pollinators and birds. 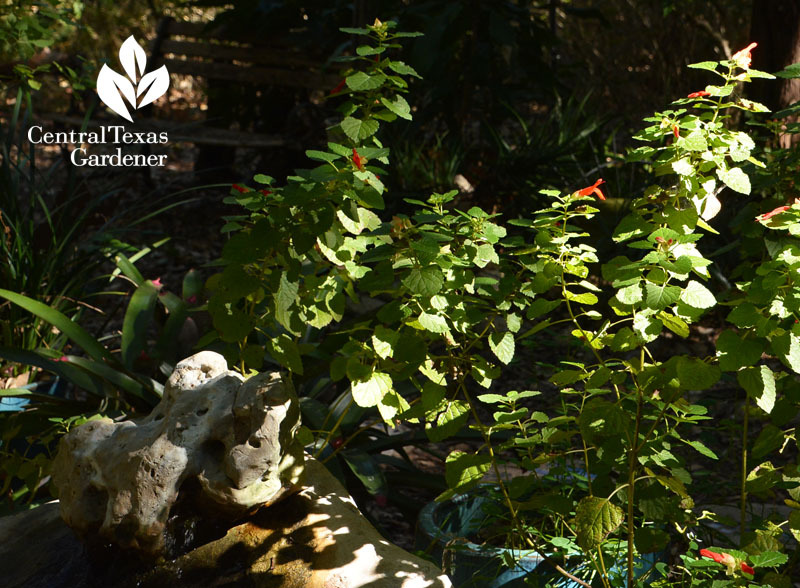 A recirculating fountain feeds a small stream for thirsty wildlife, where bees and butterflies can get a drink after nectaring on Salvia regla. 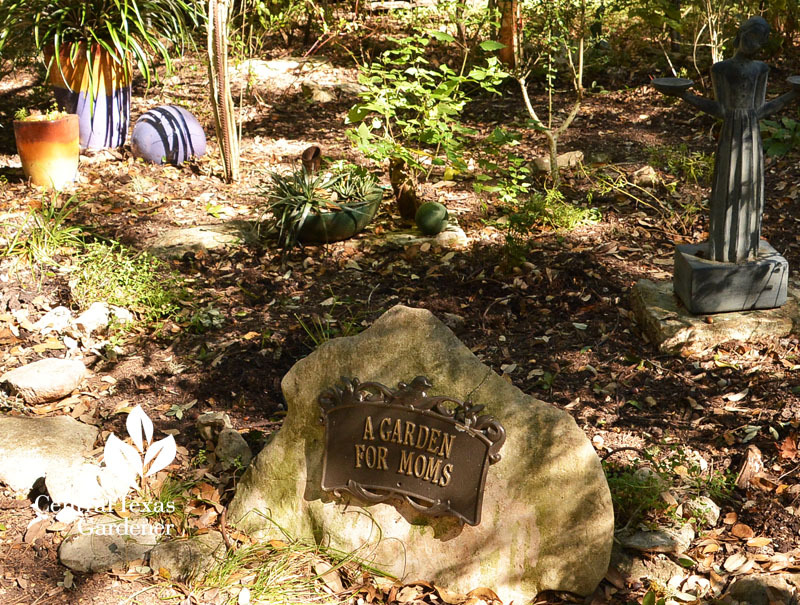 When Sandy’s mother passed away four years ago, she and Anita created a Mom’s Garden in tribute to both their moms. 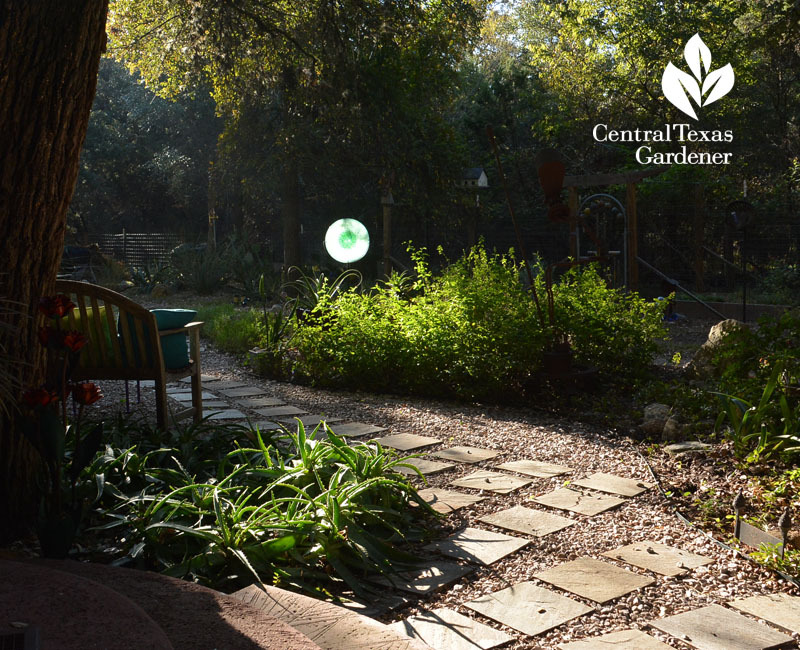 Family and friends are a big part of their garden. 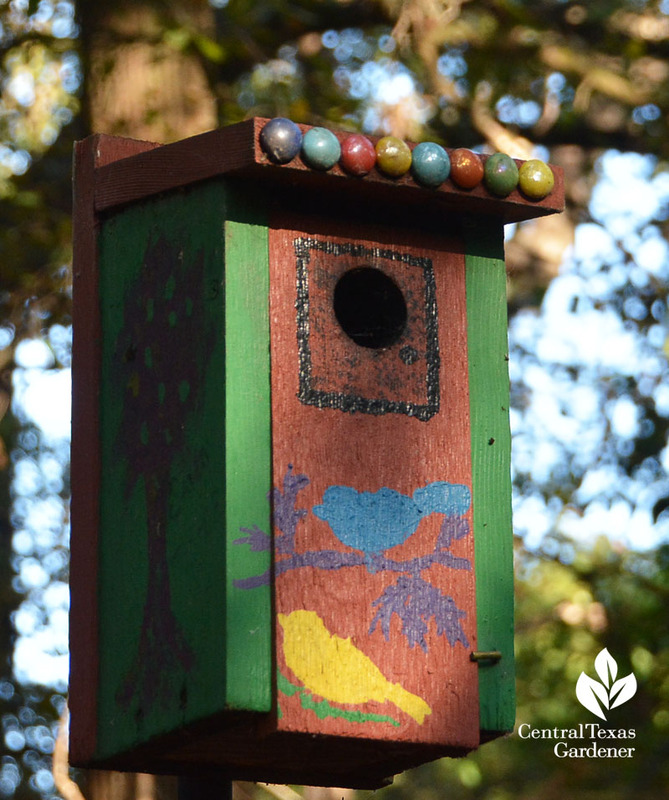 One birthday, Sandy’s dad made several birdhouses that her friends secretly decorated. 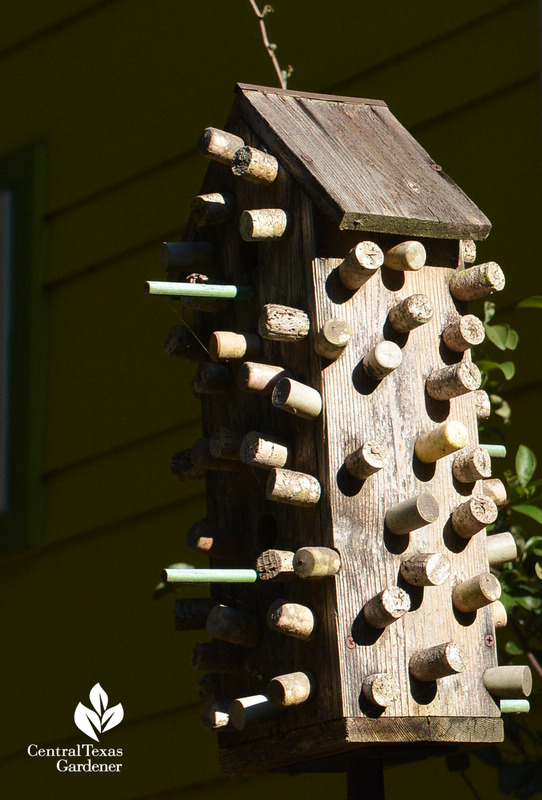 Friend and artist Marc Newquist adorned one birdhouse with wine corks, lacquered to protect against the elements. Another birthday, this energetic crew stepped up their philosophical pace. 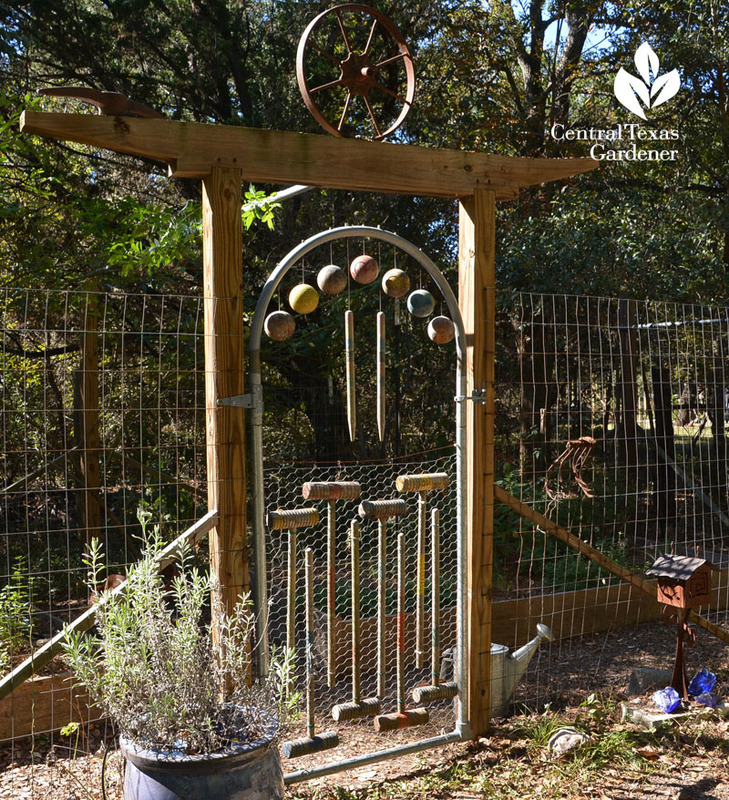 Sandy and Joe dolled up the gate to the deer-fenced herb garden with croquet mallets and balls that she and her brother played with at their grandfather’s Missouri home. 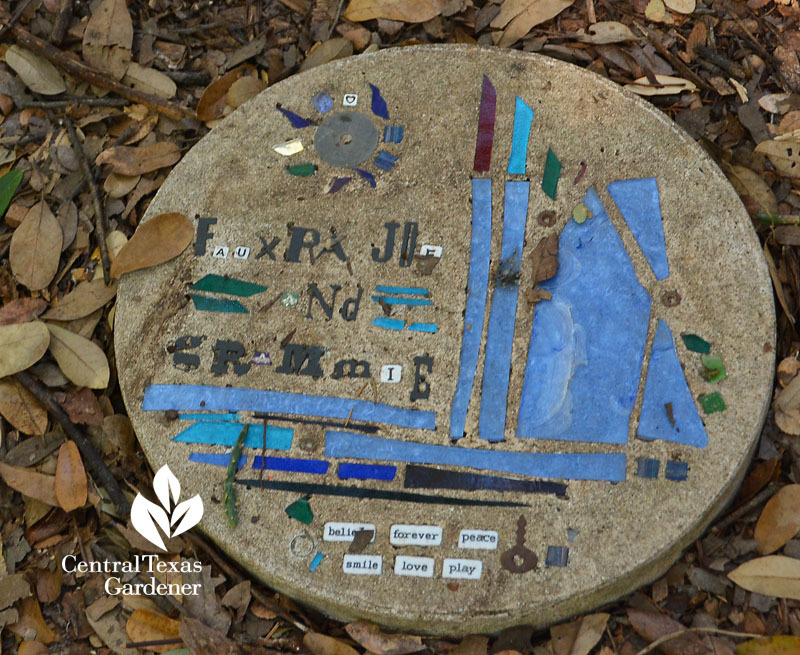 Joe crafts architectural art to punctuate the shade, especially when plants like native frostweed go dormant in winter. 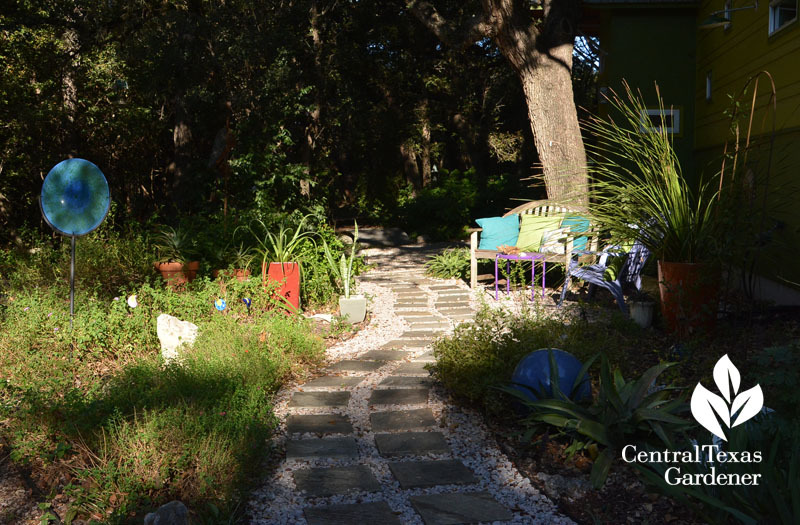 Leah installed drip irrigation from cisterns to water the trees and garden. 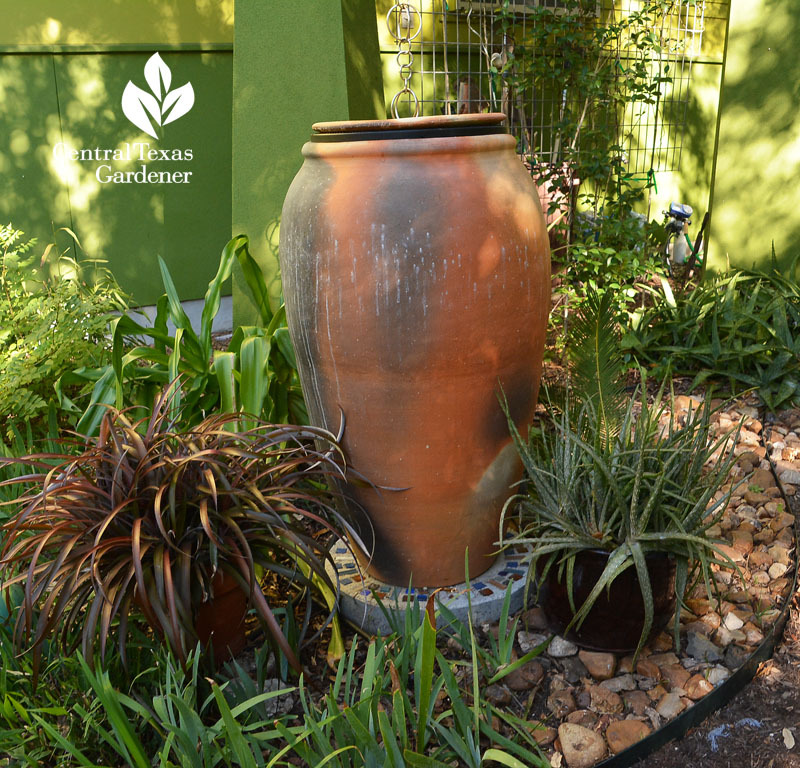 In front, they chose an attractive ceramic collection tank to water containers and prevent washout on the path. 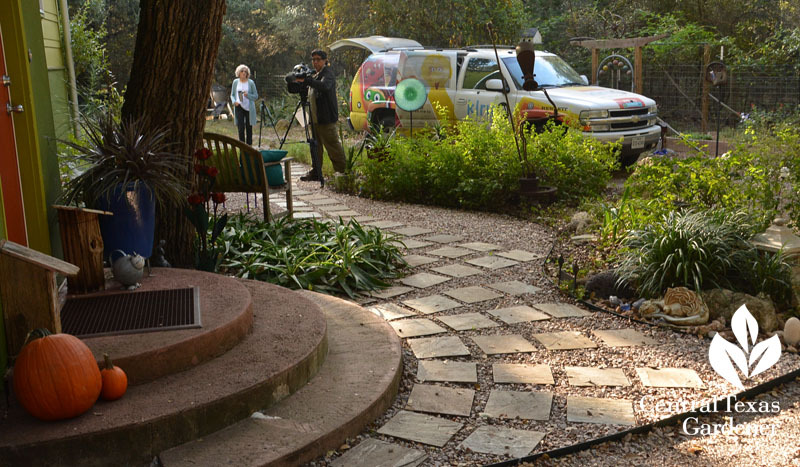 For stability, they built a concrete pad embedded with mosaic tiles. 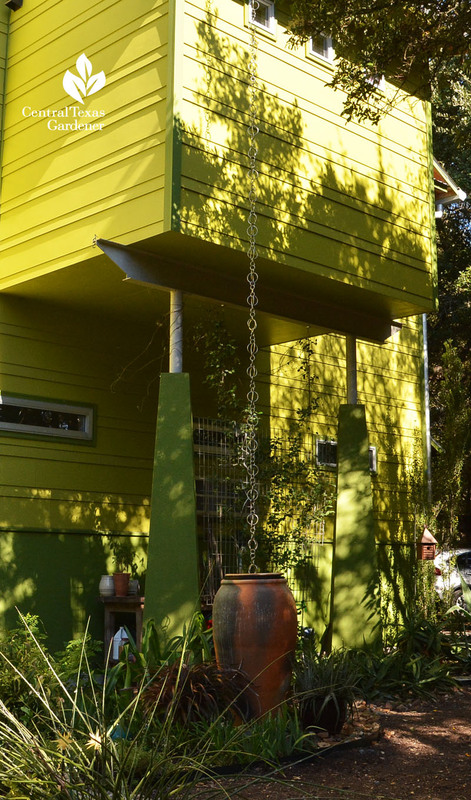 Rather than obstruct the view with a gutter spout, they chose an almost invisible rain chain to direct water off the small overhang.